The sneaker world is full of iconic colorways but few come close to the fame and longevity of Nike’s Infrared. 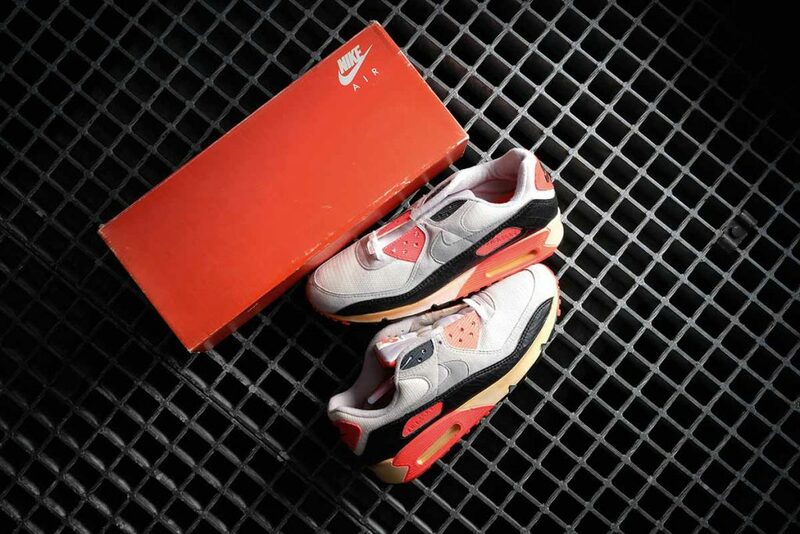 Representing the web color code #FF2247 and first used on the retros of the Air Max 90, it’s been hyped for almost three decades. 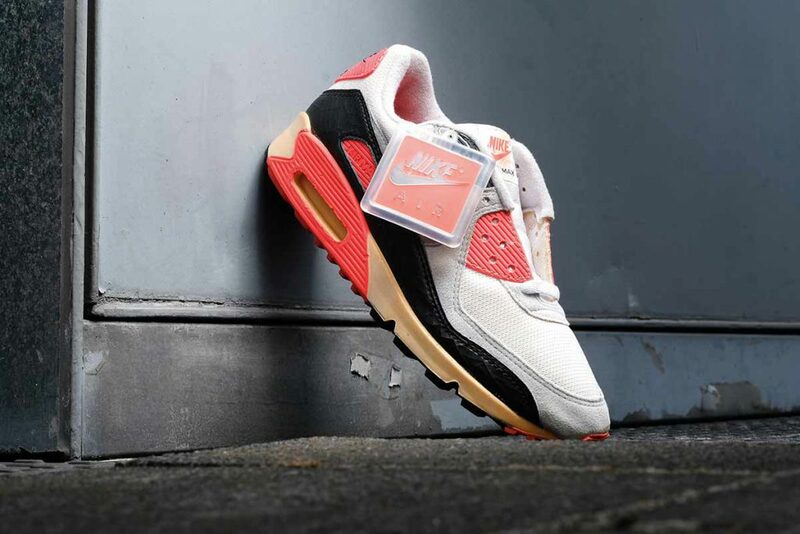 Infrared has been applied outside of running as well, but will always be associated with the air bag of the 90 – because highlighting this technology was its primary purpose. It’s a masterpiece of color and marketing. Before the term “Infrared” was coined, the color used around the air bag was called “Hyvent Orange” or “Radient Red”. It’s not clear whether these were just names picked for the same color or if they were actually different. 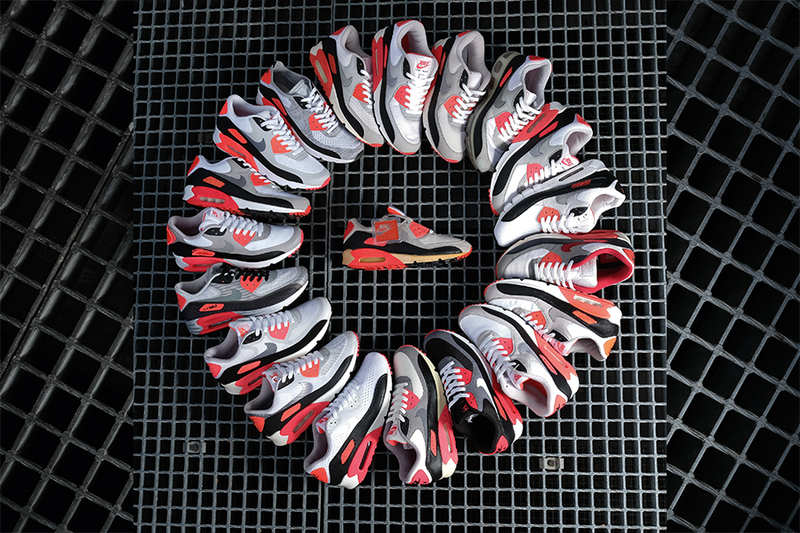 In fact, a closer look at the many different Air Max 90 models shows that there’s even a variation within actual Infrared. With so much myth and speculation around the famous color, we wanted to dive deeper into the subject. 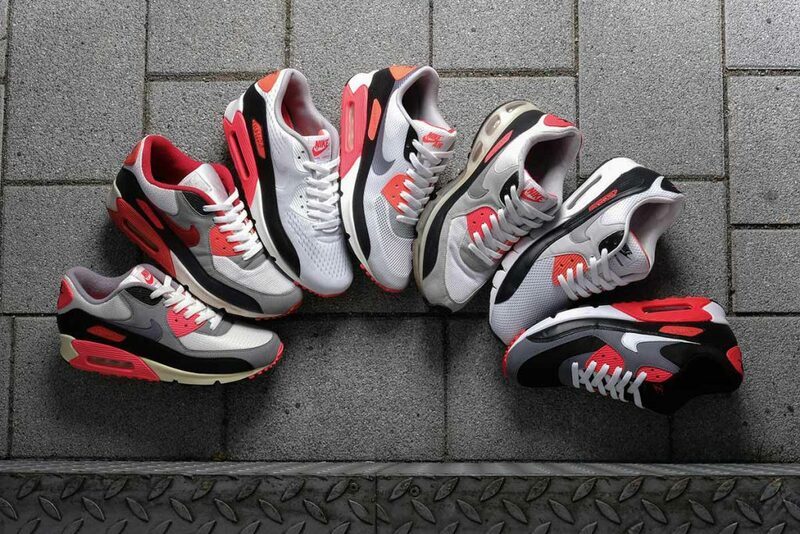 Here’s a look at the incredible and complete collection of Air Max 90 Infrareds by collector Lino Miller (@lino_miller)! Notice: Lino is about to sell his whole Infrared collection at the moment. You can contact him here! To get a professional opinion on the legendary color, we asked a true expert. Brett Golliff has designed shoes for Nike and New Balance before leaving the footwear industry to design cars. Here are his professional opinions on Infrared. Brett, why is color such an important aspect of a sneaker? I have always believed that color has the power to pull people in or immediately make them turn away in disgust. It doesn’t matter what the shoe can do for a consumer. If they can’t see themselves in it they won’t wear it. It’s the most emotional part of purchasing a product. I’s why in the past decade we’ve seen such a heavy reliance on colorways to expand the lines of signature shoes. There are many famous colors connected to certain models or brands. Why is infrared among the most important? I have a feeling that it was the use and placement of it. It always highlighted what Nike was selling, the airbag. It was used minimally and always paired with bold colors to make it contrast. I think because of that use and because it was highlighting the most successful feature in the athletic industry, it became a piece of pop culture. The color wasn’t seen in everyday life either. It was very much a rebellious tone as it wasn’t your typical flavor that merchandising was used to at the time. Can you compare it with other colors used at the time? Infrared was a far brighter hue using pigments that were deeply saturated. Before that point the red hues were predominantly “team” hues like crimson, varsity, cardinal, etc. Is it actually a special color in terms of hue and saturation? Let’s be clear that infrared is a made-up name for a very bright color that Nike created. It’s as much a marketing term as it is a color. It has a branding to it that is unique. It’s not just fluorescent, it’s infrared. With that said, what makes the color unique is the fact that Nike was able to use pigments that made it that saturated in production. That is not an easy feat. 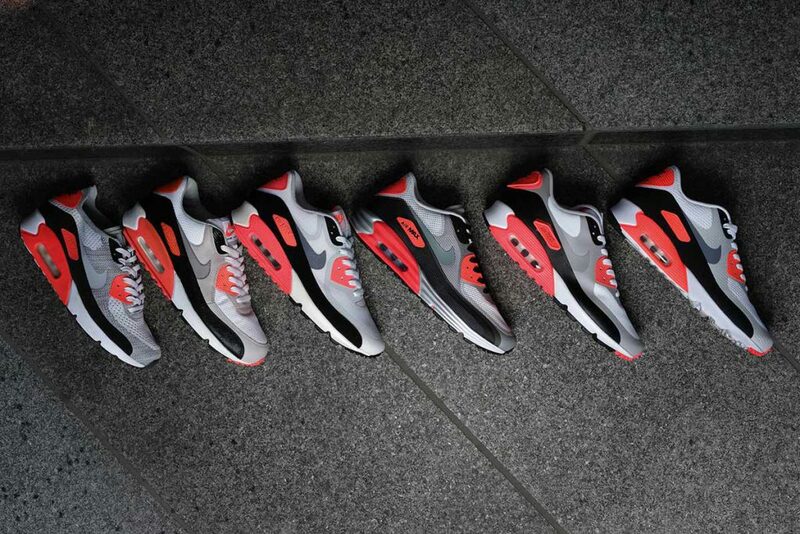 Material mixes and updated versions of the Air Max 90 “Infrared” silhouette. 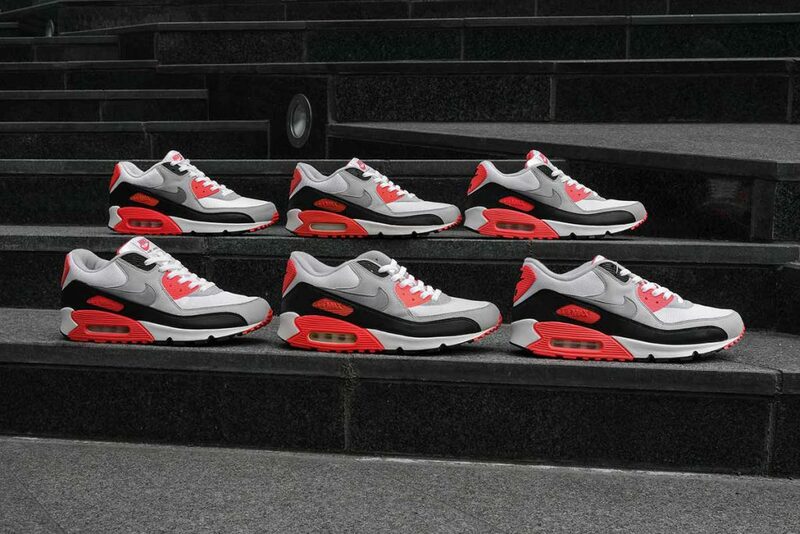 The term “infrared” was only used on the retros, not on the original Air Max 90. Why was that? I think from 1991 to 2000 when the shoe was first originally retroed, Nike had to remake the formula. I don’t think there was this deep story to change the color. What I think likely happened is that the Nike or the factory they used – which very likely wasn’t the same as before – didn’t keep the formula and didn’t associate a pantone to it. So in a sense when retro product started taking off, Nike started fresh with the color. Can you explain how brands make sure that a color is maintained on different fabrics, across different factories etc? This changes from company to company but the number one way is a pantone color, which establishes a reference point for the suppliers to use when creating the materials featuring the color. However, what really needs to happen is a standard of the color in all the materials is created. 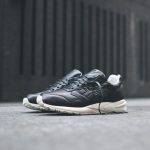 Meaning that if it is in leather or mesh or painted on a midsole, there is a material reference that the supplier matches to create consistency. How can you explain that a colorway done in 1990 remains so iconic after almost three decades? It’s pure emotion – right time, right place. When you create a moment that strikes with people, it lasts forever. There is no formula to it. You just have to be willing to take the risk to create something new. 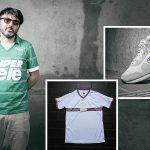 This interview was originally published in issue 35 of Sneakers Magazine – it’s available through our store!